Fort Sill, Oklahoma is a United States Army post north of Lawton, Oklahoma with a long and storied history. Best known as a major cavalry base for the U.S. Army during the era of the Indian wars, in the 1890s its mission shifted from cavalry to artillery units. The fort’s vast size (approximately 94,000 acres) made it a perfect location for the practice and study of artillery and other explosives, and in 1911 Fort Sill became home to the School of Fire for the Field Artillery, a world-renowned artillery school that continues to operate today as the U.S. Army Field Artillery School. Hundreds of thousands of artillerymen from all over the world have trained at Fort Sill in the last 100 years, firing their artillery on its vast ranges. Over time, a wide variety of unexploded ordnance (UXO) from multiple countries and eras have collected on Fort Sill’s impact ranges. 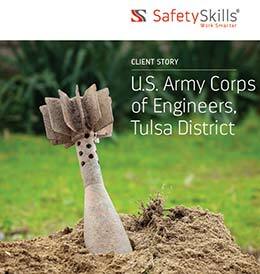 The U.S. Army Corps of Engineers, Tulsa District came to SafetySkills to design and develop an interactive, online defense personnel training course on Munitions and Explosives of Concern (MEC), on behalf of U.S. Army Garrison, Fort Sill. For over 100 years, artillerymen from the United States Army, the United States Marine Corps, and numerous U.S. allies have trained at the artillery school using a wide variety of ordnance from around the world and across the decades. The sheer variety of types of UXO that can be found on Fort Sill’s ranges presented a major training challenge. 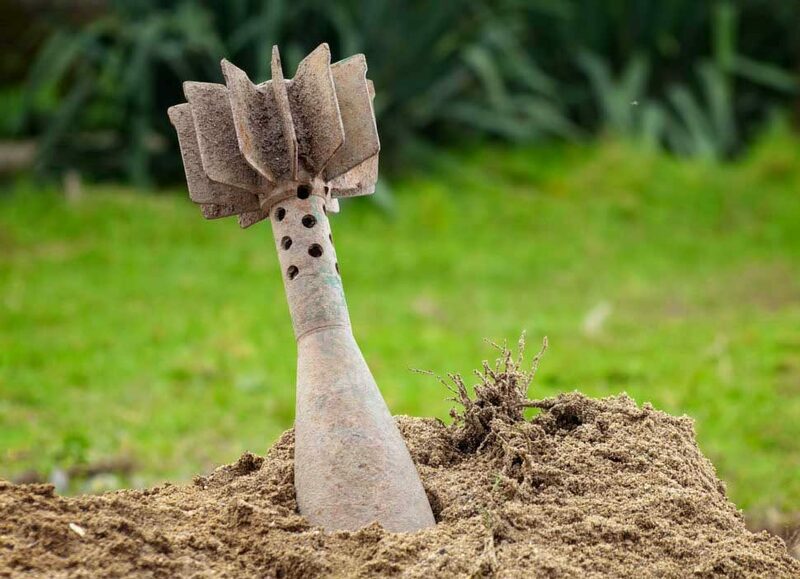 UXO can be difficult to identify, often looking like a pipe, discarded can, or some other innocuous scrap of metal. They can lie beneath the ground for years, even decades and still pose a threat when unearthed. In fact, recently the Army Corps of Engineers detonated an unearthed artillery shell that was over 100 years old. SafetySkills consultants, along with experts from the Corps of Engineers, designed and built an interactive, online training course for defense personnel that covered identification techniques and strategies for UXO of all types, and included reference documentation for munitions spanning 100 years of use. 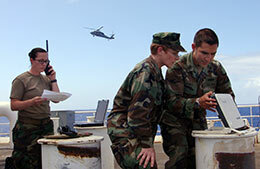 The course also provided training over marking and isolation protocols, hazard assessment and notification procedures. As Fort Sill’s mission evolves over time, old artillery ranges must be reclaimed and repurposed, meaning that UXO impacts not only artillerymen, but also civilian defense personnel, civilian and military scientists, and even contract construction personnel working on or around impact ranges. 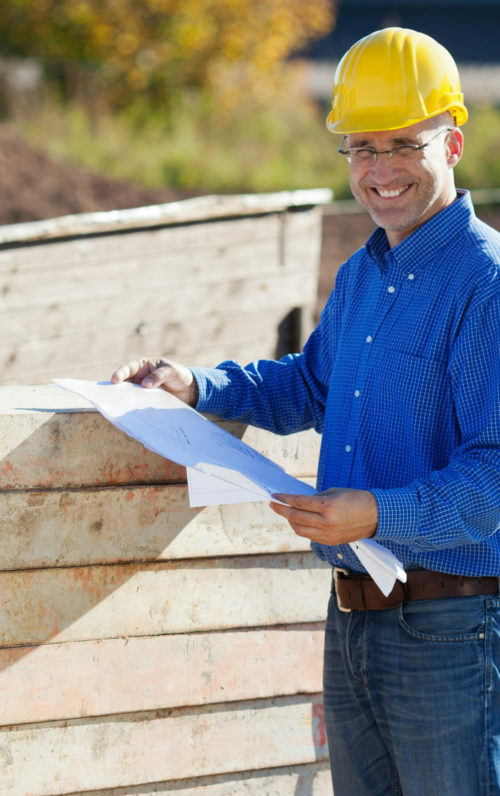 SafetySkills was tasked with developing a single course that could be completed by all impacted personnel, regardless of skill level. SafetySkills developed a course that included relevant history, plain-language explanations, and clear imagery to assist laypersons with the tricky process of UXO identification. While Fort Sill is still an active Army post, it is also a National Historic Landmark and home to three museums: The Fort Sill National Historic Landmark and Museum, the U.S. Army Field Artillery Museum, and the U.S. Army Air Defense Artillery Museum.